We are sharing with you our top 10 hotspots to visit if you’re heading to Greece this summer season. 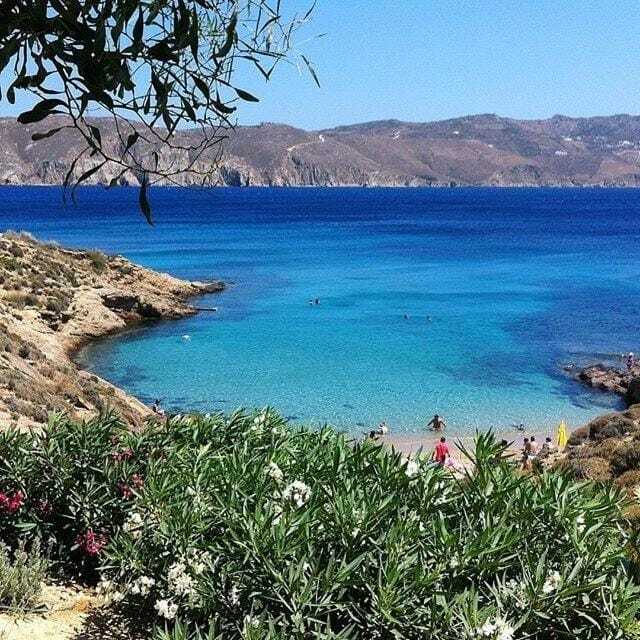 From Mykonos to Zakynthos find out which island beachses you have to visit! You don’t have to leave the mainland to see the best beaches on offer – this mainland treasure is at the south eastern part of Thessaly in central Greece. 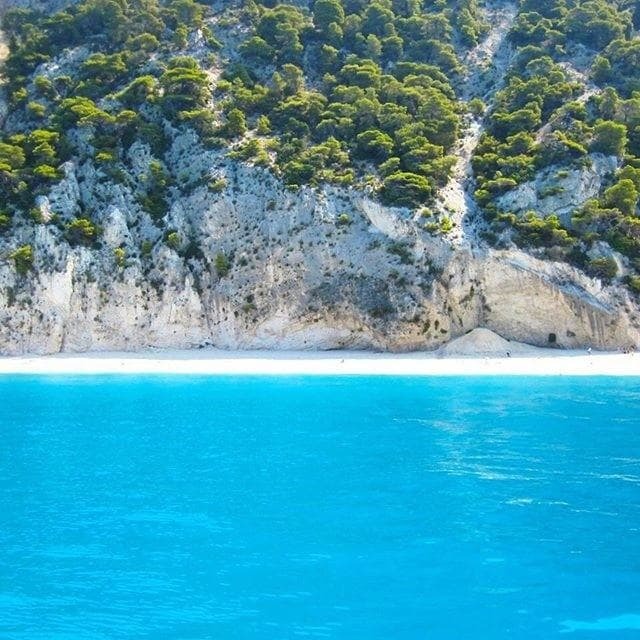 If paradise was a colour, it could be the striking light blue of the water at Egremni Beach on the island of Lefkada. Connected to the mainland by a causeway, Lefkada is one of the few Greek islands that is accessible by car. Agia Anna (Saint Anna) became the most famous beach in Amorgos after featuring in French director Luc Besson’s 1988 film The Big Blue. Polyaigos Island is the largest uninhabited island in the Aegean. The name means ‘many goats’ and these are the only residents you’ll find here. This tiny island is the perfect little paradise for those seeking seclusion and relaxation. Consistently voted as one of the best beaches in Greece, you’ll want to spend an entire day on this beautiful stretch of sand. 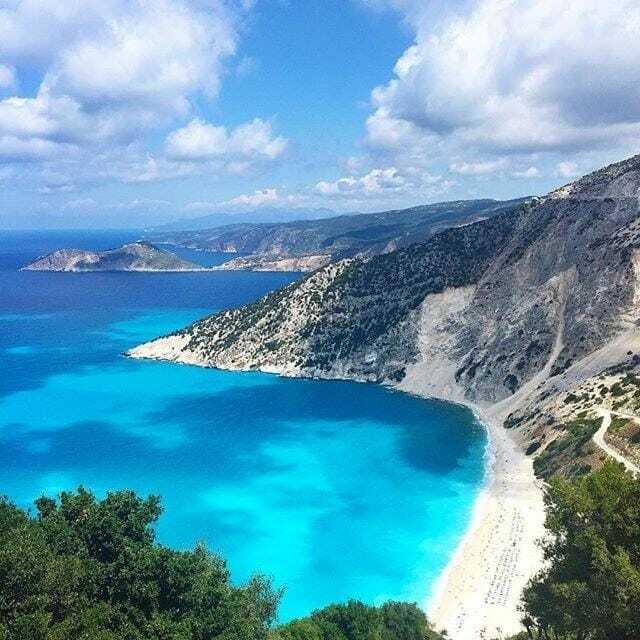 Myrtos lies at the feet of two mountains, Agia Dynati and Kalon Oros, and is backed by steep limestone cliffs. Idyllic and unspoiled, Vatera is one of the longest beaches on the island. This is my local beach when I’m visiting family, and I have spent many memorable summers here. Accessible only by boat, Kleftiko is an old pirate’s hideout on the south-west of the island that is famous for its impressive rock formations. The view from Kiki’s Tavern – where there’s no signage, reservations or telephone – makes this tiny taverna overlooking Agios Sostis Beach the place to be. 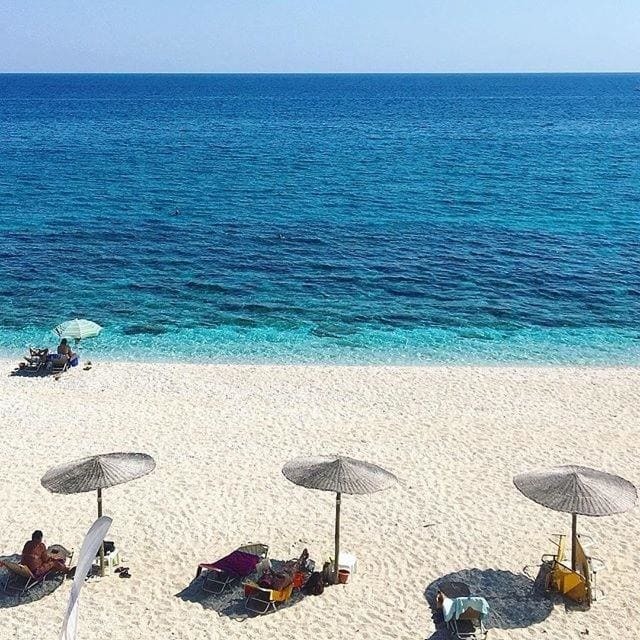 The waters of Porto Katsiki are an incredible shade of iridescent blue thanks to its Ionian Sea locale.